When I left Portland, breakfast boards were all the rage. What's a breakfast board? 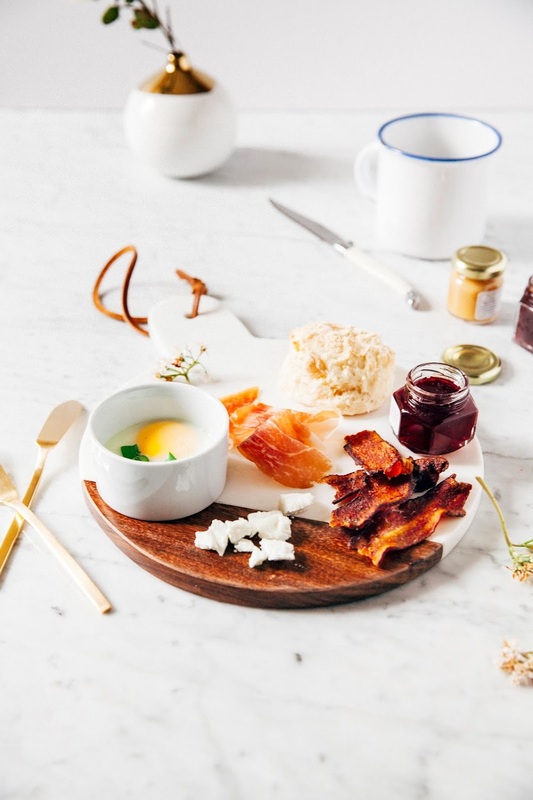 Think: a traditional charcuterie and cheese board, but designed for breakfast. They're all the range in Scandinavia, especially Sweden. In Portland, you could get European versions with those round ebelskever Danish pancakes and Norwegian lefse crepes, or more Americanized ones with soft scrambled eggs and bacon. 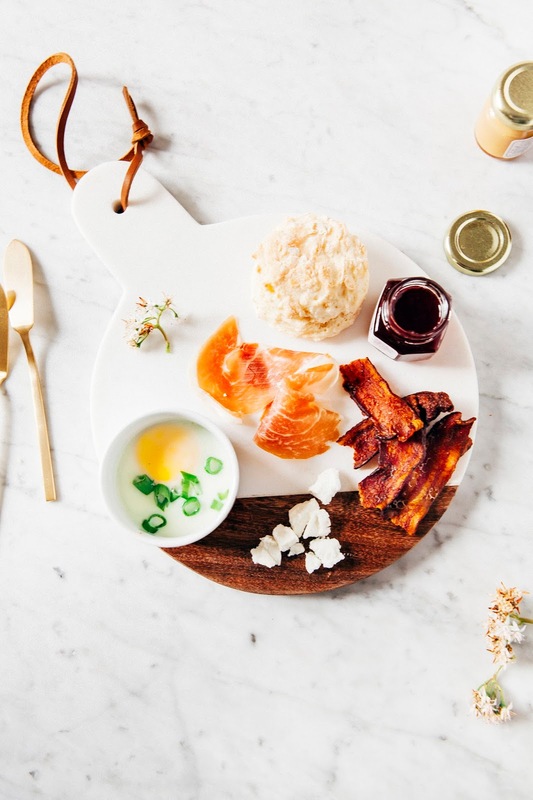 My version falls somewhere between the two — I've got traditional American fixings like bacon and biscuits, as well as Italian prosciutto and French eggs en cocotte. Check out the full recipe on West Elm's blog, where I've been sharing brunch recipes for the last few weeks! In case you missed it, I've also got recipes for banana bread French toast, chicken and waffles, and maple bacon cinnamon rolls. Live large, ya know?